The Malaysian NGO Suaram has made a representation to the United Nations’ Special Rapporteur on Indigenous Rights, which highlights the ill-treatment of the natives of Sarawak. The oral representation by Nalini Elumalai, the Executive Director of Suaram, called for the Rapporteur, James Anaya to be allowed to personally visit East Malaysia to evaluate the abuses by Chief Minister Taib Mahmud and also Musa Aman in Sabah. Ms Elumalai highlighted a number of disturbing violations of human and indigenous rights across Sarawak, even though Malaysia has signed up to declarations to protect the indigenous people in its territories. And the NGO noted the impact of the leaked documentation that first appeared in Sarawak Report last year, pointing out how Malaysia’s official human rights commission, Suhakam, described the position of indigenous people as being “forced to become coolies in their own lands”. 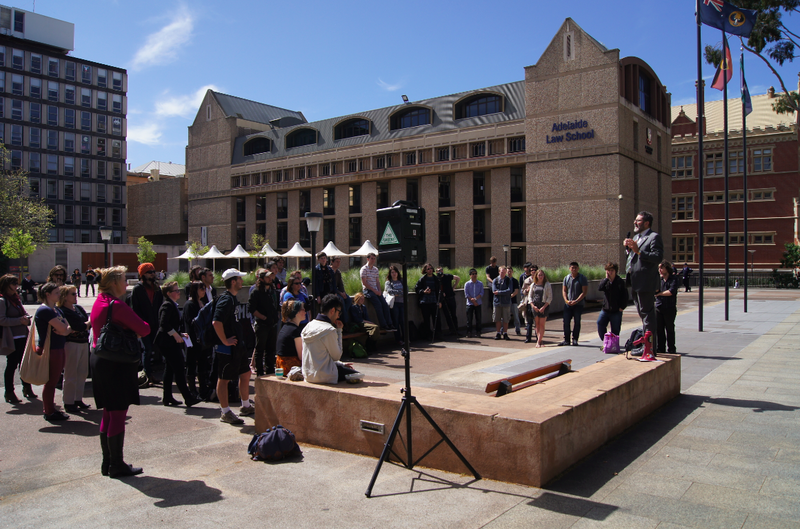 Meanwhile, across the globe in Adelaide, students at the university were making their own protest against the decision to accept millions of dollars in donations from the Chief Minister, who has in return been awarded an honorary doctorate and had a slice of the university campus named after him. Sarawak Report has detailed Taib’s donations to the University and pointed out that the Chief Minister’s family also own the Adelaide Hilton Hotel and surrounding shopping complex. We have questioned how he could afford such enormous personal investments and donations, given he arrived at the university as a poor scholar on a charity grant and has occupied modestly paid public positions ever since? In response to an article in the Australian this week Adelaide University authorities clarified an earlier response made to students, where they suggested that they had only received one donation from Taib a long time ago. “The university accepted gifts from Mr Taib in good faith many years ago. No gifts have been accepted from him for more than seven years. 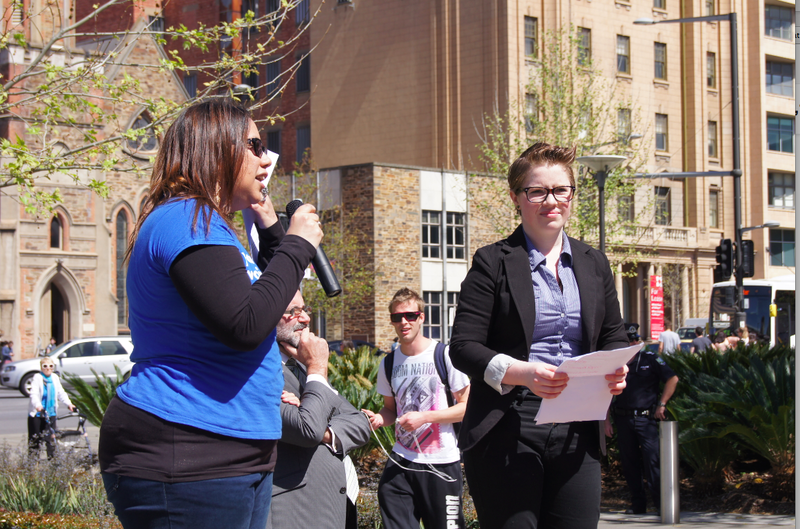 On behalf of the protesting students Lizzie Taylor of the South Australian Student Environment Network rejected the concept of such obligations. Time for more transparency? The students have yet to receive details of the “permanent trust obligations and agreements” entered into by the University with Abdul Taib Mahmud in return for donations of millions of dollars which he cannot legitimately lay claim to. The Students’ Representative Council also made a statement rejecting the acceptance of donations from a man whose notorious personal corruption has wreaked destruction on the forests of Borneo and its people. 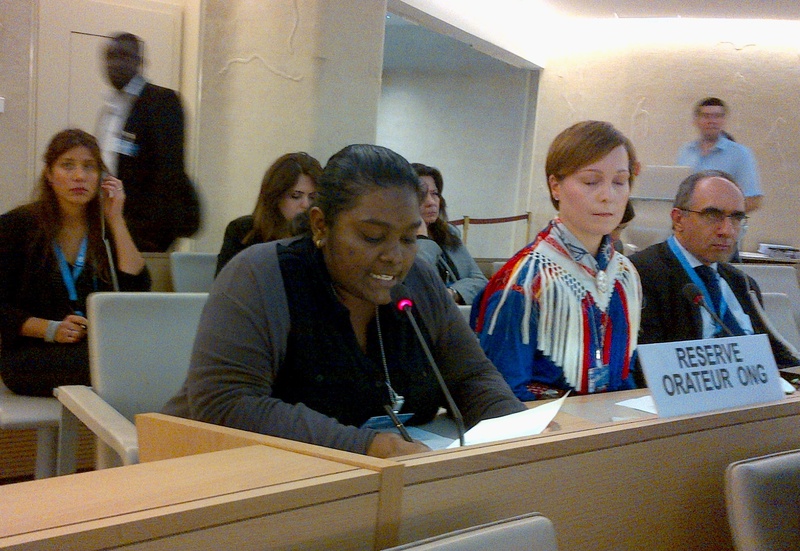 The concerns of the Adelaide students were eloquently put by Suaram’s UN team in Geneva the same day. The NGO was concerned to highlight Taib’s deliberate marginalization of indigenous groups, who are deprived of their rightful vote, ID cards, health-care and schooling, even though their lands have been devastated by logging and oil palm. These discriminations face many people in Malaysia, who do not stand to benefit from BN’s policies of unsustainable resource extraction, but who are denied any political opportunities to oppose them. 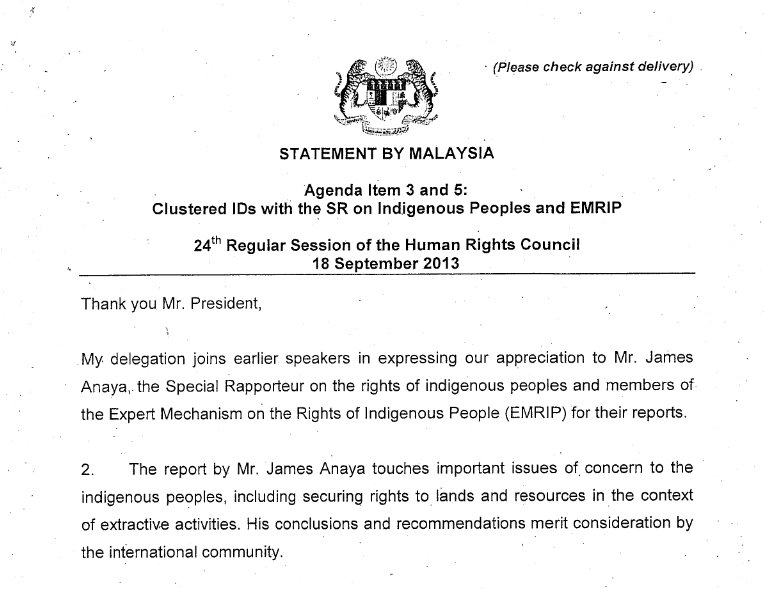 “Indigenous peoples in Malaysia also face a lack of equal rights accorded to them as citizens. Many indigenous people do not own an identity card, depriving them of access to basic services such as healthcare, housing, education, clean drinking water, electricity or the right to vote. The Penan of Sarawak, especially the interior Eastern Penan, have been systematically denied identity cards by the government. Decades of such discrimination have been allowed to take place on BN’s watch in East Malaysia and the result is that Taib Mahmud has become one of Asia’s richest men, while the indigenous people have suffered dreadful privations and hardship, their populations dwindling into virtual non-existence, like the animals and plant life of the Borneo Jungle. The Malaysian Government was there to represent itself at the UN gathering and defended its position, saying it was seeking a “strike a balance” between the rights of indigenous peoples and “development”. But, acknowledged there were problems and indicated it would try harder to ensure it fulfilled the country’s obligations to its people. Statement by Malaysia insists that a “balance” is being struck- but who is benefitting from ‘development’? 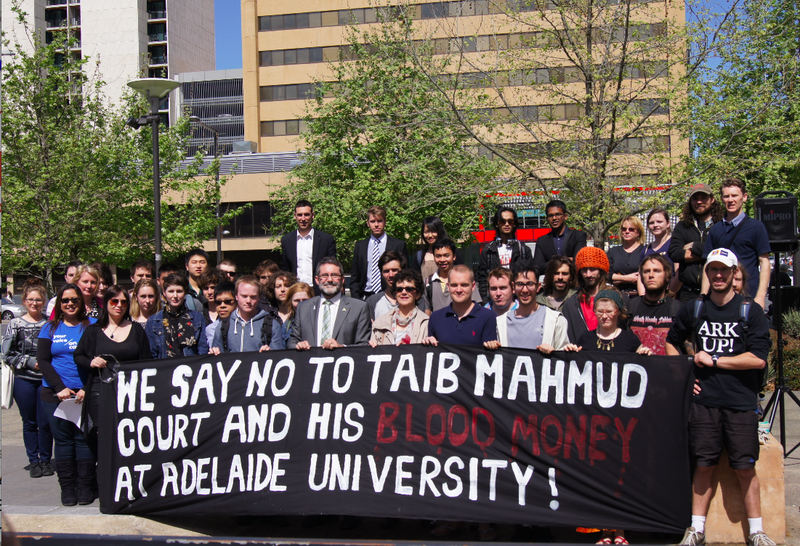 Thanks to the principled actions of NGOs and protestors like the students of Adelaide University it will no longer be possible for Taib to continue with his activities unchallenged and unremarked.